Last week, entertainer and filmmaker Beat Takeshi came under fire due to comments he made on Japanese television about gay marriage. When shown footage of people celebrating President Obama's support of gay marriage, Takeshi said, "Obama supports gay marriage. You would support a marriage to an animal eventually, then." Everyone is entitled to his or her own opinion, and that seems to be his. 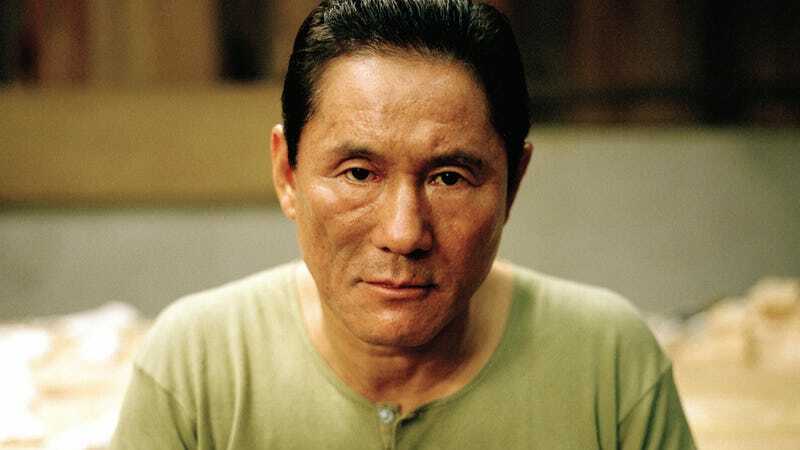 But recently, Takeshi explained or walked back his remarks, telling AFP, "I was only talking about people who love their pets so much that they may think of marrying them." "There is no way I look at gay people the same as animals," added Takeshi, "let alone implying sexual relations with animals." It's not his clarification that's the problem (that's muddled enough as it is), but the original comparison. In many countries and cultures, not consummating a marriage is grounds for annulment. Some religions dictate that marriages must be consummated. Not taking this into consideration not only shows tremendous cultural and religious insensitivity, but insensitivity towards gay people. If Beat Takeshi doesn't think gay people should get married, that's his opinion. He is entitled to it—Japan has freedom of speech. But he should simply say he doesn't believe in gay marriage and not draw oblique comparisons to people marrying their pets. These are two separate issues.